CV Boots Repair On The Track. 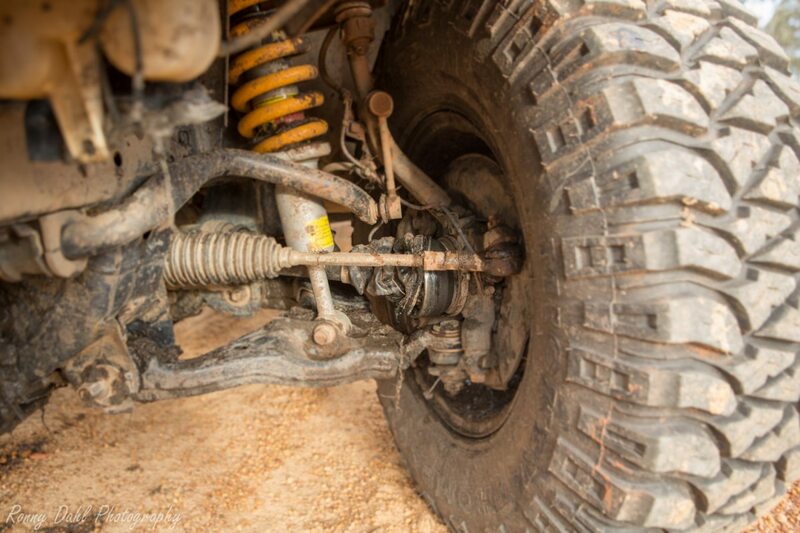 I have experienced issues with CV Boots a few times on my previous vehicles and have seen it quite a few times on other 4x4's, it's the weakest point on an IFS vehicle the protective cover on the CV axle. 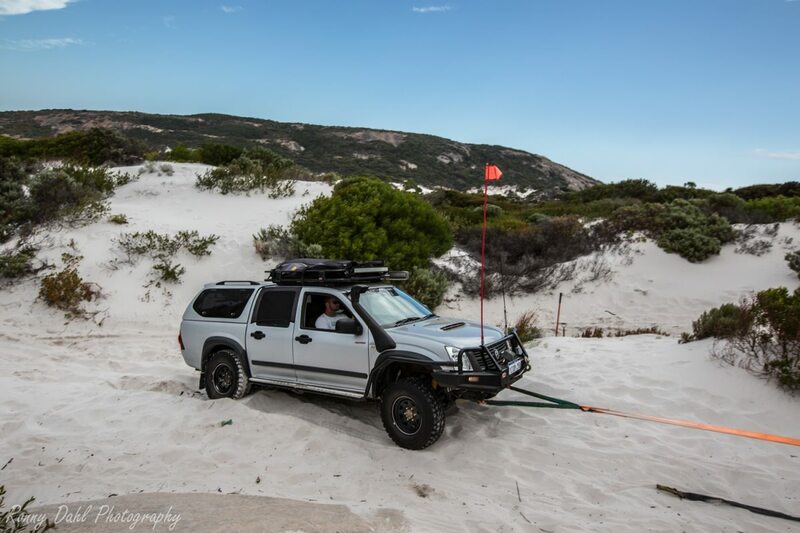 If the CV itself goes (breaks) then the only way to fix it is with a replacement CV, most of the time you can still get the vehicle out on its own if the terrain is easy going, on tough terrain having a front locker will ensure that at least one wheel has drive to the front (the intact CV), without a front locker the 4x4 will be as good as a 2WD as the drive will go to the broken axle i.e. The path of least resistance! Holden Rodeo Requiring A Bit Of Help Due To A Destroyed CV Joint. 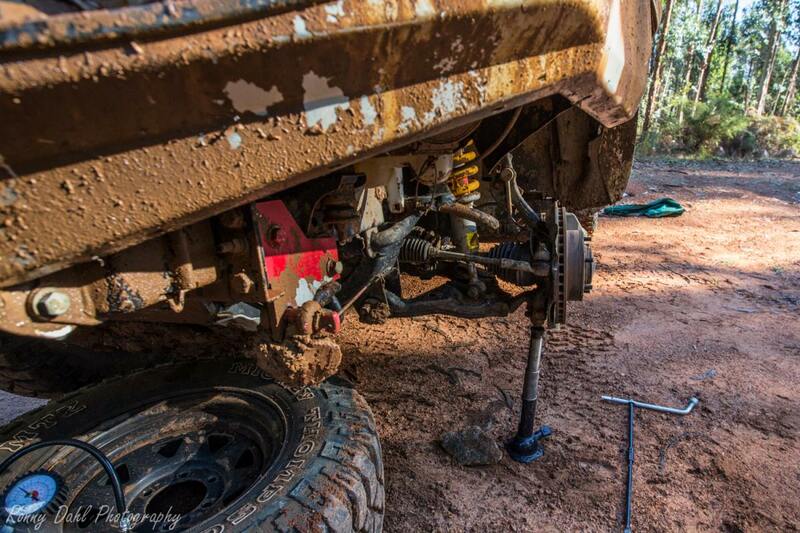 This can happen over time and happens often on IFS 4wd's with a 3 inch lift or higher due to increased CV angles. 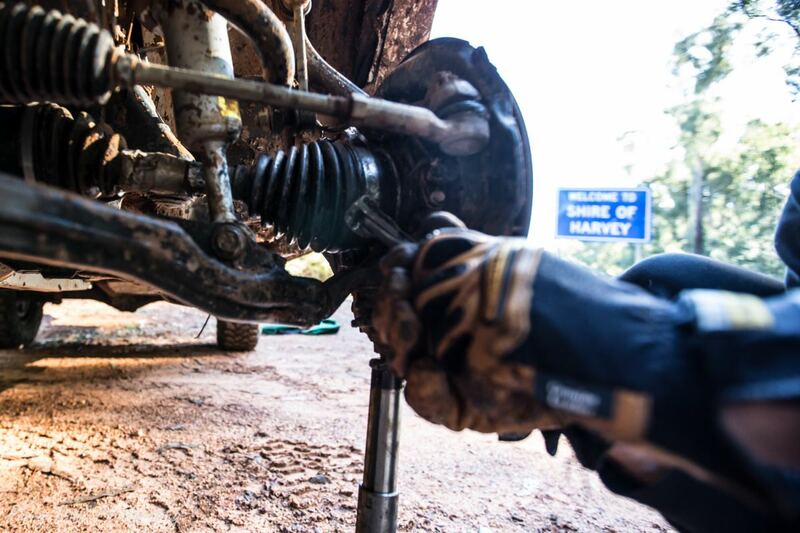 CV boots however are quite easy to repair if they have just come loose, this can be done with some Bush Mechanics by using 1-1.6mm tie wire and a pair of cutters or pliers. 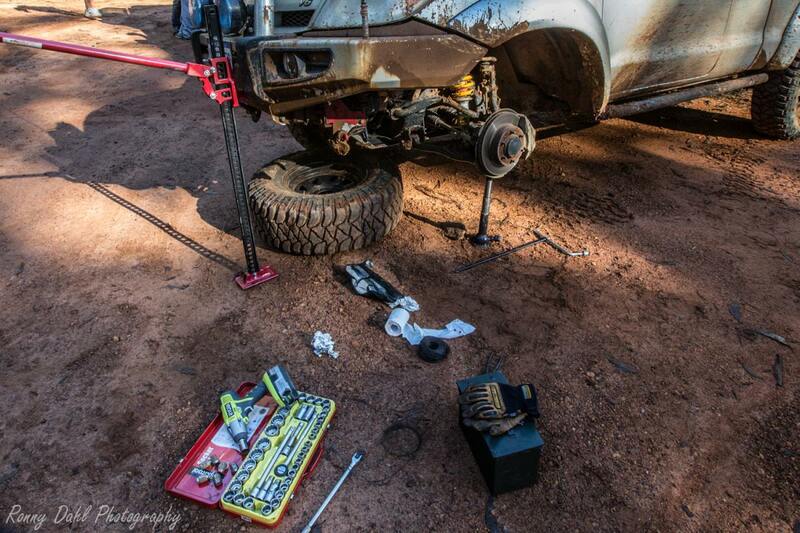 See the photos below where we fixed the Hilux on a trip mid last year (June 2013). What happens here is the ring strap cane loose and exposed the CV to mud, dirt and water. The first thing to do is to clean the CV out with water, best done with a sports bottle lid so it can be pressured out, this is just to get as much mud and foreign matter out and works a treat as the axle grease still remains. I you get to it earlier the rate of a successful clean out is obviously higher. This one in particular we got to very quick as I could hear the tell-tale metal on metal noise from the ring straps scratching the CV arms. After cleaning it I would recommend cutting of the loose ring straps (both in most cases), then get some wire ready and double up on the wire for a stronger hold. It should stay on if tied correctly and just keep an eye on it, when we did the Hilux CV boot I did have to re-tie it about 4 times due to the rough terrain over the 3 days. On easy terrain it shouldn't come off at all. Remember this is just a solution to keep you from ending your trip early and getting the vehicle to a mechanic. This happens mostly by sticks and branches contacting the CV boots, look out for bog holes as people throw all kinds of stuff in them to get them out, most of the time its sticks and broken branches. 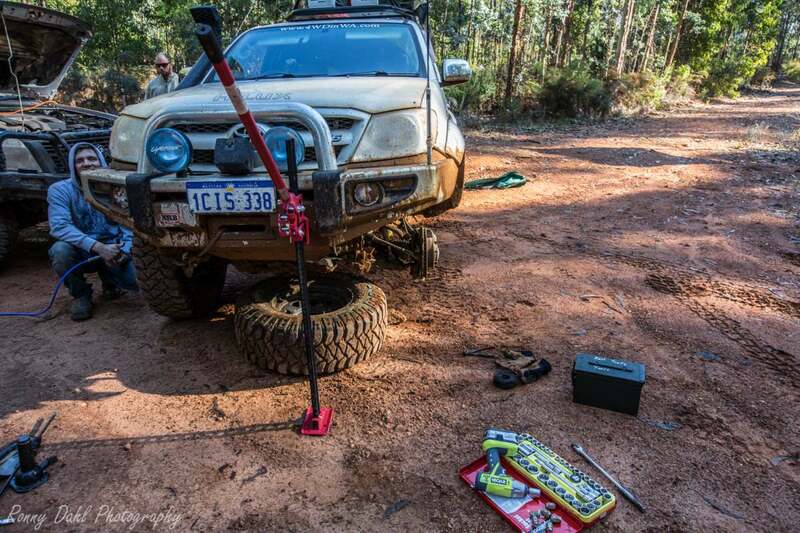 Other reasons are vehicles lifted too high putting stress on the boots with steeper axle angles and simply just really old CV boots which fatigue and fracture over time. This situation can be anything from ok to very bad, what I mean by this is if you know it's only just been torn within a few hours you will have a good idea if any water or other foreign matter could have entered it. Also you can cover the hole early. If you have no idea how long it's been breached and only just found out because you can hear tell-tale metal clicking then I'm afraid it's too late, the CV is on its way out and fingers crossed you are not in the middle of nowhere! If however you found it just by looking then you might just be ok once you have covered it. Well there are a few ways by using Bush Mechanics yet again; the most effective is plastic bags (strong plastic bags like tough bin bags). You should already be carrying these! Combine the plastic with tie wire, cargo straps cut to length or duct tape. A combo of tie wire and duct tape is even better. 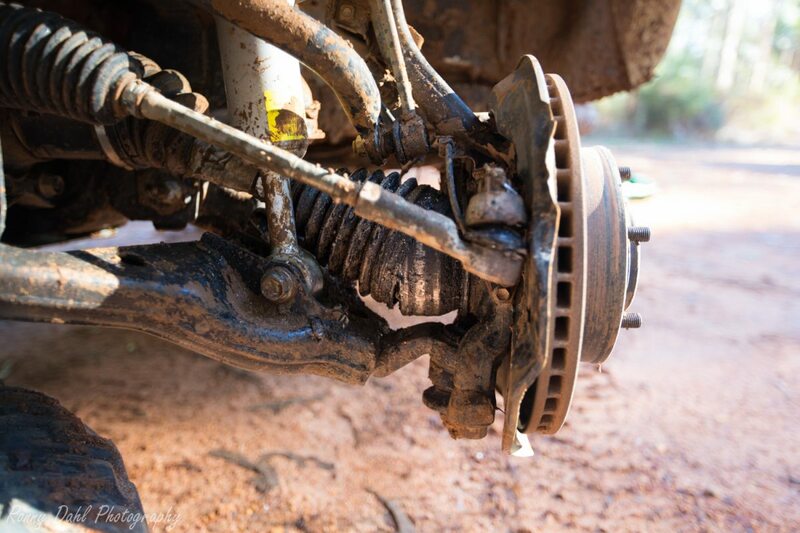 This is obviously very weak compared to the factory CV boot so keep a good eye out for it and try not to flex the suspension too much, this is simply to get you home or continue on your easy terrain journey. If no plastic is at hand then a tarp cut to size can be used but it will be far from water sealed. If it's just a pin hole then duct tape can do the trick, remember it only takes a small hole to cause all sorts of problems. Upon entering a bog hole 4 CV’s suffered damage 2 on a Prado, 1 on a Hilux and 1 on a Holden Rodeo. All from the same bog hole! Really goes to show how easy it is to do when you can’t see what is under the muddy waters of a well-used bog hole! Sometimes it’s best to find another track around. Prevent Expensive Trip Ending Dramas. 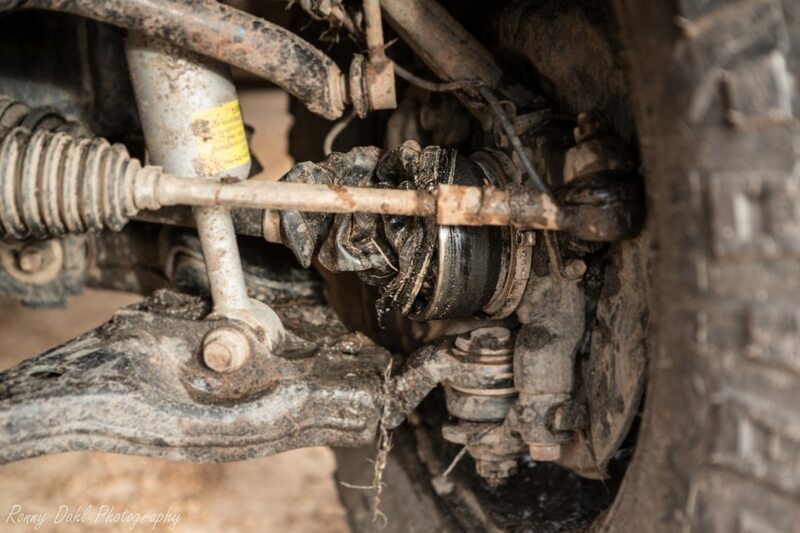 Regularly check your CV’s; it's an easy thing to do when airing down or up. If this has happened to you before you'd already be checking a lot. 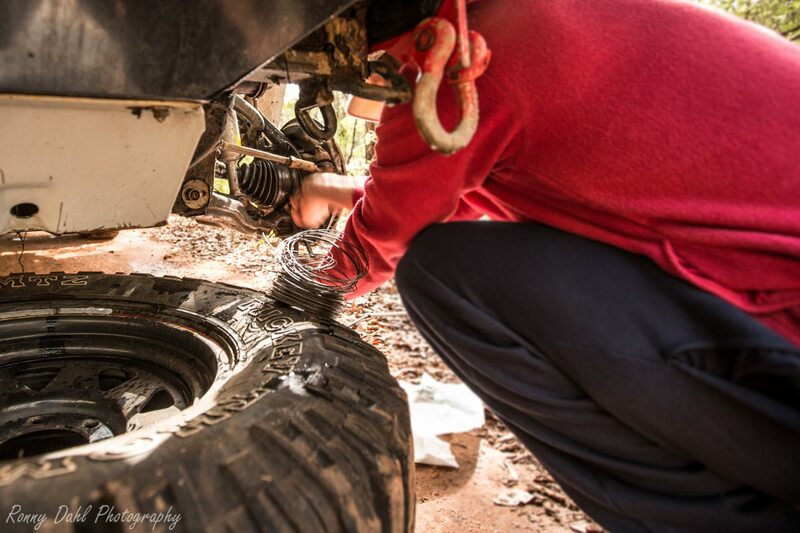 For those who have a solid axle vehicle there are no problems with CV boots as they don't exist on a solid axle 4wd, which is partly the reason I got myself the 79 series Landcruiser and Brian bought a Jeep, solid axle Jeep Wrangler. 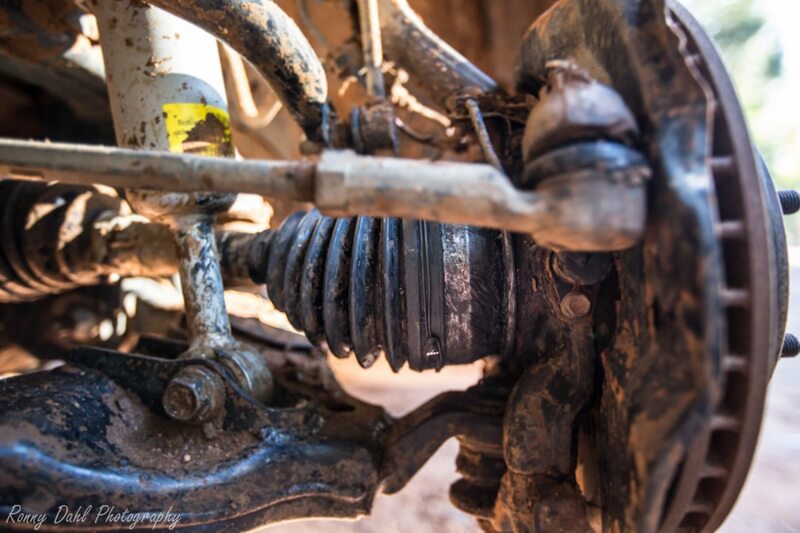 Leave CV Boots And Go 4 Wheeling In Western Australia. Go Back To 4WD Repair.